Harley Rouda, the Democratic candidate challenging Republican representative Dana Rohrabacher in California's toss-up 48th congressional district, signaled support earlier this year for expanding Medicaid to undocumented immigrants but now denies ever making that statement. Rouda was asked about the topic at a recent public forum at Golden West College as part of a series of questions from Coast Report Online, the student newspaper for Orange Coast College in Costa Mesa, Calif.
"Rohrabacher has said that you want to give MediCal to undocumented immigrants and that this goes against what the district wants," editors from the publication said. "How would you respond to this idea that you don't know what the district wants?" MediCal is California's Medicaid program for low income individuals and families. "I've never said that," Rouda responded. "The fact is, you could argue the United States has already paid for universal health care in the least efficient way possible—in the emergency room instead of through preventive care. We need to have basic levels of medical services available to all. Addressing undocumented immigrants in our country shouldn’t be done by withholding life-saving medication or healthcare services." However, despite Rouda's denial of ever saying that he supports expanding Medicaid to undocumented immigrants, the Democratic candidate said exactly that during the primaries at a forum held by Indivisible, a prominent anti-Trump liberal group. "Would you expand supporting Medicaid for undocumented adults as well? Mr. Rouda?" the moderator asked during the debate. "Yes, and when I talk about Medicare for all—or some of these other measures that provide some level of assistance to subgroups—the answer would be for all residents of the United States of America," Rouda said. Rouda's campaign did not respond to a request for comment on the apparent contradiction. 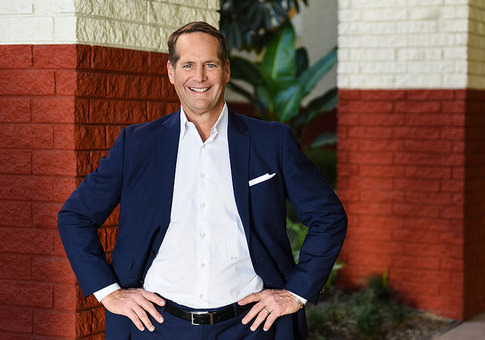 "Harley Rouda ran as a radical extremist in the primary and espoused views that are far outside the mainstream in Orange County," Dale Neugebauer, Rep. Rohrabacher's campaign spokesman, told the Washington Free Beacon. "Now he's running away from his own statements and lying in a desperate attempt to remake himself as a moderate. Voters know a phony when they see one. Harley's lies aren't going to work." This entry was posted in Politics and tagged California, Dana Rohrabacher, Medicare. Bookmark the permalink.